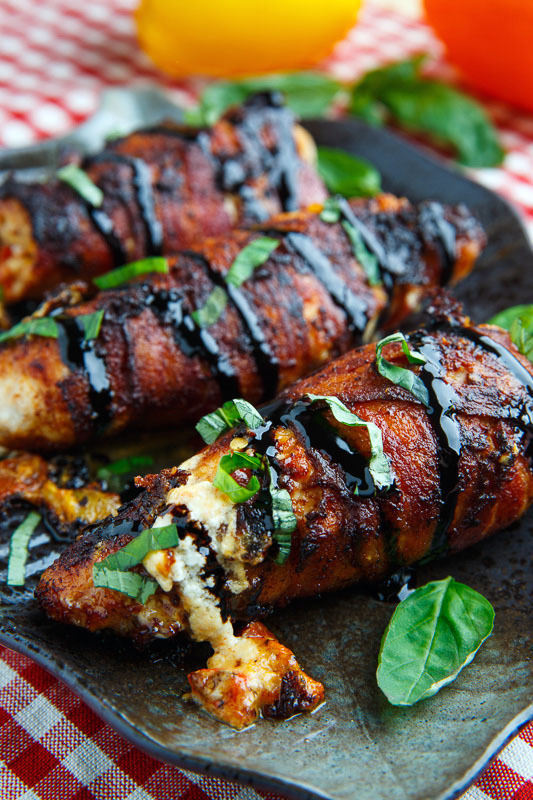 Crispy bacon wrapped roasted red pepper, goat cheese stuffed chicken with a tangy balsamic drizzle and plenty of fresh basil! I am such a huge fan of bacon and my new found favourite way to enjoy it in grilling season is wrapped around chicken and grilled to perfection! When you cook chicken breasts wrapped in bacon the bacon helps keep the chicken nice and moist and the bacon gets so nice and amazingly crispy! Yum! 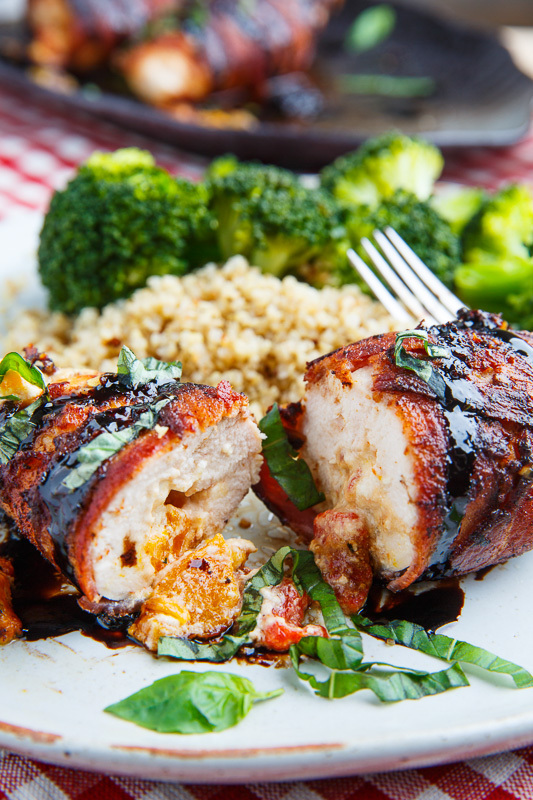 This bacon wrapped roasted red pepper and goat cheese stuffed chicken with balsamic drizzle and basil includes some of my favourite flavour combinations! Lets start with the roasted red pepper which are so nice and sweet and good and they pair perfectly with the tangy goats cheese and then I mix in some fresh chopped basil and lemon zest so that the filling of this bacon wrapped chicken is just brimming with summery fresh flavours! 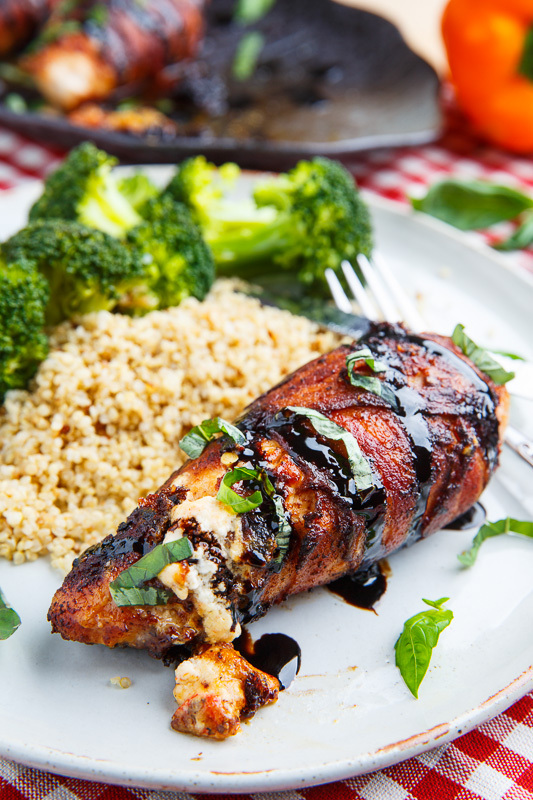 Once the chicken has been stuffed and grilled I serve it with a simple tart balsamic drizzle which perfectly complements all of the other flavours! 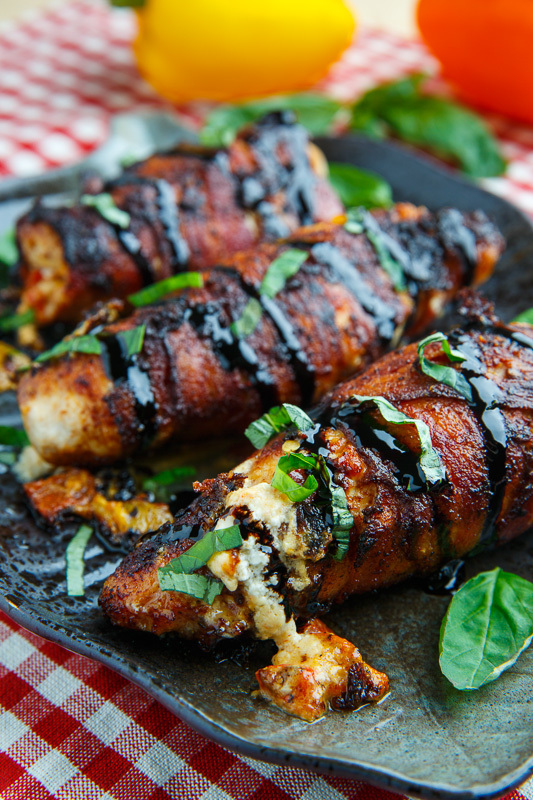 You really can’t go wrong with this grilled bacon wrapped roasted red pepper and goat cheese stuffed chicken with balsamic drizzle and basil for this summers grilling season! Looks like a hearty meal josh and my boys would love! You had me at bacon! 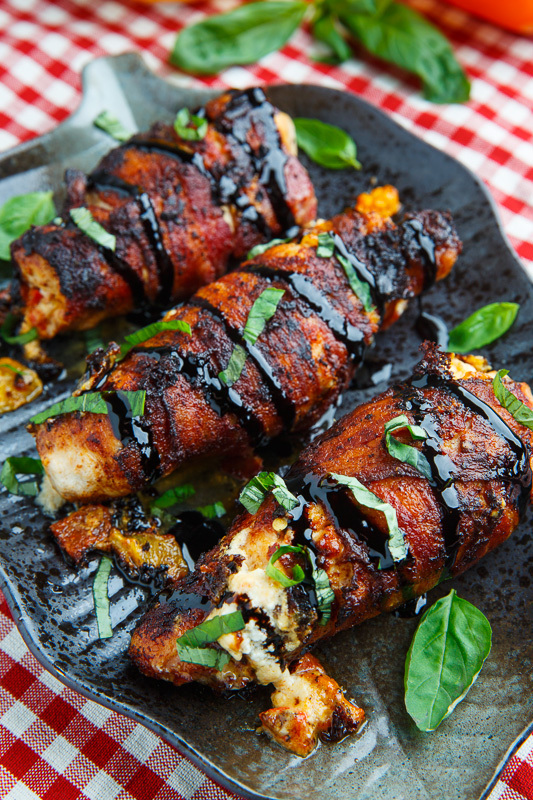 But bacon wrapped chicken and all those flavors and then the balsamic? Someone may need to hold me. We're totally trying this over the weekend!